We live in a culture that seems obsessed with being productive. While increasing our output and doing more with our time is certainly an admirable goal, according to Tony Schwartz, author of Be Excellent at Anything, that misguided approach is actually liable to hurt your productivity. 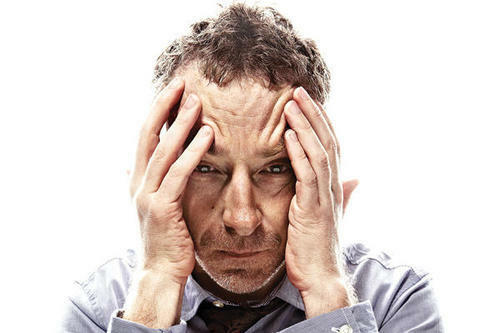 Without real restoration and rejuvenation throughout the day, people (knowingly) hold themselves back because they are worried about “pacing” their energy to make it through the day. This is incredibly damaging to your potential, because it distributes your efforts at 25% across your whole work day instead of reaching 90% output at the moments that correspond with your body’s naturally productive rhythms of alertness. The result is that you aren’t able to do your best work and you aren’t getting the rest you need to rejuvenate yourself either. I know I’ve fallen into the trap of conventional thinking that to be productive, I just need to work harder. I spend more and more hours at the desk, but when I look back, I’m not sure where the time went. To Schwartz, not being able to push yourself to 90% output without worry is the biggest impediment holding you back from being truly productive and producing your best work. True productivity is determined by better energy management rather than simply cranking out more hours at your desk. What do our energy levels actually look like throughout the day? We all have a sense of our energy level, whether we feel productive or not, whether we’re alert and excited or tired and groggy, but most of us try to ignore it and don’t know the science underlying its effect on our work. It turns out that our energy functions according to what psychophysiologist Peretz Lavie called “ultradian rhythms,” or natural cycles that take place during the day. Lavie conducted a fascinating series of experiments where he put young adults on an ultrashort 15 minute awake-5 minute sleeping schedule in 8-hour sessions, first from 4 pm until midnight, and then after 6-7 hours of sleep, he put them on the 15/5 schedule from about 7 am until early afternoon. He then observed when his test subjects fell asleep and couldn’t fall asleep during this bizarre sleep schedule and came up with some surprising findings. In the afternoon and evenings, we get sleepy at two times: at 4:30 pm and at 11:30 pm. But in the morning, we get sleepy every 90 minutes. 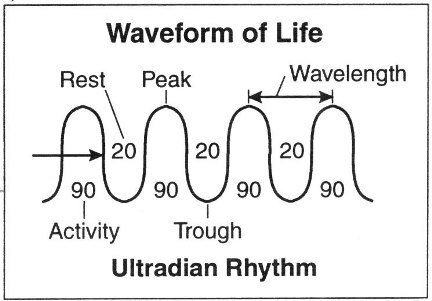 These 90-minute cycles are our ultradian rhythms which define when we’re naturally feeling awake and productive. We perform our best in between those periods of drowsiness. What’s energy management and how do we sync to our natural rhythm? 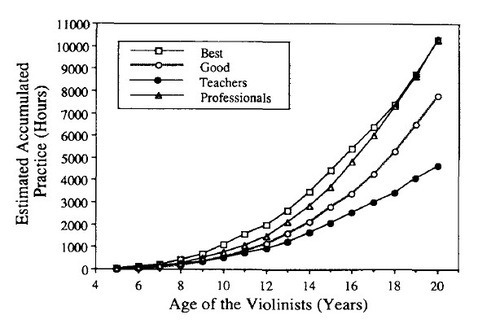 Those who work with instead of against their ultradian rhythm perform better, according to a study on world-class violinists. You might expect the best violinists to practice until their fingers bleed. Not so. Top-tier violinists practice no more than 4 1/2 hours a day, in 90-minute bursts, plus they got more sleep than their peers (notably, 20-30 minute afternoon naps). One group of pilots was given an opportunity to take 40-minute naps mid-flight, and ended up getting an average of 26 minutes of actual sleep. Their median reaction time improved by 16% following their naps. Non-napping pilots, tested at a similar halfway point in the flight, had a 34% deterioration in reaction time. They also experienced 22 micro sleeps of 2-10 seconds during the last 30 minutes of the flight. The pilots who took naps had none. If you push yourself to continue working during periods of low energy, you risk continued grogginess and low performance. It’s critical that we acknowledge our body’s natural rhythms and align our periods of work and relaxation with them to work in a sustainably productive way. In his book Outliers, Malcolm Gladwell popularized the idea that 10,000 hours of “deliberate practice” is what you need to become an expert in your field. Research from psychologist Anders Ericsson on deliberate practice shows that it’s true strain and “wear and tear” that helps people build expertise. Although getting into a flow may feel good, sometimes we use the term “flow” to describe times when we’re not pushing ourselves very hard. But it’s the hard practice that allows us to improve. A good metaphor is weightlifting at the gym: while a good flow might involve a 30-minute walk and some light free weights, if you are looking to push yourself into chiseled, six-pack ab territory, you’ve gotta hurt. Building muscle at that level doesn’t come without pushing into the territory of the uncomfortable, and this is why Schwartz and noted authors like Cal Newport are so adamant about these “hold nothing back” periods of work. During these sessions, it’s vital that we challenge ourselves with increasing difficulty and focus uncompromisingly on how to fix our weaknesses. When deliberate practice corresponds with periods of intense concentration, we suss out our weaknesses, make progress, and do our best work. Break your work sessions into 90-minute blocks: I tested this for myself, and I noticed that the feeling of reckless abandon in being able to give your all for those 90 minute periods was incredibly useful in allowing yourself to pour out creativity without having to think, “What will I have left for the end of the day?” It’s a surprising bit of mental jiujitsu, but it works: I feel energized and empowered to operate at peak levels because I know that it’s only for 90 minutes. After your 90-minute sessions, take 15 minute breaks: According to Schwartz, breaking up work periods into 90 minute sessions with the knowledge that there will be a 15 minute break at the end is a great process to get started with balancing energy and recovery throughout the day. This way, the 90 minute work period can be approached without having to worry about pacing or burnout: a scheduled break is just on the horizon. It seems strange to allow yourself these sorts of breaks if you are a person who prides themselves with being busy/productive (two very different things, actually), but on the advice of Schwartz and the complementary studies that support it, it’s definitely worth a try. Nick, by contrast, works intensely for approximately 90 minutes at a stretch, and then takes a 15-minute break before resuming work. At 12:15, he goes out for lunch for 45 minutes, or works out in a nearby gym. At 3pm, he closes his eyes at his desk and takes a rest. Sometimes it turns into a 15- or 20-minute nap. Finally, between 4:30 and 5pm, Nick takes a 15-minute walk outside. What did you think of the research in this post and Schwartz’s approach to finding a work schedule that works with you? Let me know in the comments, and thanks for reading! Gregory Ciotti is the marketing guy at Help Scout, the invisible help desk software that makes email support a breeze for you and your customers. Get more from Greg on the Help Scout customer loyalty blog. Now I know why I randomly feel exhausted during morning time… I thought it was because of low blood pressure or sugar level! Hi – some interesting ideas here, thanks. I personally find that doing the same length batches of work is tiring and somewhat unexciting, I do much better when the batches get shorter with each consecutive one. Was just reading about how this goes along with usual energy levels in this post. Seems to be working for me – dare I recommend it to people working in open space type offices? Not sure there is anything that could help there. Apart from good headphones, sadly. Energy Management Software by Intellisys is a software and hardware solution to make your energy use more efficient. It is specifically designed for the water and waste water industries.